Drug combinations is considered as an effective strategy designed to control complex diseases like cancer. Combinations of drugs can effectively decrease side effects and enhance adaptive resistance. Therefore, increasing the likelihood of defeating complex diseases in a synergistic way. This is due to overcoming factors such as off-target activities, network robustness, bypass mechanisms, cross-talk across compensatory escape pathways and the mutational heterogeneity which results in alterations within multiple molecular pathways. The plurality of effective drug combinations used in clinic were found out through experience. The molecular mechanisms underlying these drug combinations are often not clear, which makes it not easy to suggest new drug combinations. Computational approaches are proposed to reduce the search space for defining the most promising combinations and prioritizing their experimental evaluation. In this paper, we review methods, techniques and hypotheses developed for in silico methodologies for drug combination discovery in cancer, and discuss the limitations and challenges of these methods. Sup Moon, Amin Yaqubie, Nicole Kelly, Dung T Le, Evan J Lipson, Paul B Chapman, Luis A Diaz Jr, Bert Vogelstein, Martin A Nowak, “Evolutionary dynamics of cancer in response to targeted combination therapy”, Elife, 2013. Bhagwan Yadav, Krister Wennerberg, Tero Aittokallio, Jing Tang, “Searching for drug synergy in complex dose–response landscapes using an interaction potency model”, Computational and Structural Biotechnology Journal, 2015. Holohan C, Van Schaeybroeck S, Longley DB, Johnston PG, “Cancer drug resistance: an evolving paradigm”, Nature Reviews Cancer, 2013. Kummar S, Chen HX, Wright J, Holbeck S, Millin MD, Tomaszewski J, Zweibel J, Collins J, Doroshow JH, “Utilizing targeted cancer therapeutic agents in combination: novel approaches and urgent requirements”, Nature Reviews Drug Discovery, 2010. Keith CT, Borisy AA, Stockwell BR, “Multicomponent therapeutics for networked systems”, Nature Reviews Drug Discovery, 2005. Seashore-Ludlow B, Rees MG, Cheah JH, Cokol M, Price EV, Coletti ME, Jones V, Bodycombe NE, Soule CK, Gould J, Alexander B, Li A, Montgomery P, Wawer MJ, Kuru N, Kotz JD, Hon CS, Munoz B, Liefeld T, Dan?ík V, Bittker JA, Palmer M, Bradner JE, Shamji AF, Clemons PA, Schreiber SL, “Harnessing connectivity in a large-scale small-molecule sensitivity dataset”, Cancer Discovery, 2015. Barretina J, Caponigro G, Stransky N et al, “The cancer cell line encyclopedia enables predictive modelling of anticancer drug sensitivity”, Nature, 2012. Mukesh Bansal, Jichen Yang, Charles Karan, Michael P Menden, James C Costello, Hao Tang, Guanghua Xiao, Yajuan Li, Jeffrey Allen, Rui Zhong, Beibei Chen, Minsoo Kim, Tao Wang, Laura M Heiser, Ronald Realubit, Michela Mattioli, Mariano J Alvarez, Yao Shen, NCI-DREAM Community, Daniel Gallahan, Dinah Singer, Julio Saez-Rodriguez, Yang Xie, Gustavo Stolovitzky and Andrea Califano, “A community computational challenge to predict the activity of pairs of compounds”, Nature Biotechnology, 2014. Fang HB, Chen X, Pei XY, Grant S, Tan M, “Experimental design and statistical analysis for three-drug combination studies”, Statistical Methods in Medical Research, 2015. Zinner RG, Barrett BL, Popova E, Damien P, Volgin AY, Gelovani JG, Lotan R, Tran HT, Pisano C, Mills GB, Mao L, Hong WK, Lippman SM, Miller JH, “Algorithmic guided screening of drug combinations of arbitrary size for activity against cancer cells”, Molecular Cancer Therapeutics, 2009. Li P, Huang C, Fu Y, Wang J, Wu Z, Ru J, Zheng C, Guo Z, Chen X, Zhou W, Zhang W, Li Y, Chen J, Lu A, Wang Y, “Large-scale exploration and analysis of drug combinations”, Bioinformatics 2015. Ji-Hyun Lee,Dae Gyu Kim,Tae Jeong Bae,Kyoohyoung Rho,Ji-Tae Kim, Jong-Jun Lee, Yeongjun Jang, Byung Cheol Kim, Kyoung Mii Park, Sunghoon Kim, “CDA: combinatorial drug discovery using transcriptional response modules”, PLoS One, 2012. Parkkinen JA, Kaski S, “Probabilistic drug connectivity mapping”, BMC Bioinformatics, 2014. Lei Huang, Fuhai Li, Jianting Sheng, Xiaofeng Xia, Jinwen Ma, Ming Zhan, and Stephen T.C. Wong, “DrugComboRanker: drug combination discovery based on target network analysis”, Bioinformatics, 2014. Yi Sun, Zhen Sheng, Chao Ma, Kailin Tang, Ruixin Zhu, Zhuanbin Wu, Ruling Shen, Jun Feng, Dingfeng Wu, Danyi Huang, Dandan Huang, Jian Fei, Qi Liu and Zhiwei Cao, “Combining genomic and network characteristics for extended capability in predicting synergistic drugs for cancer”, Nature Communications, 2015. Xing-Ming Zhao, Murat Iskar, Georg Zeller, Michael Kuhn, Vera van Noort, Peer Bork, “Prediction of drug combinations by integrating molecular and pharmacological data”, PLoS Computational Biology, 2011. Harrell FE, Lee KL, Mark DB, “Multivariable prognostic models: issues in developing models, evaluating assumptions and adequacy, and measuring and reducing errors”, Statistics in Medicine, 1996. Lamb J, Crawford ED, Peck D, Modell JW, Blat IC, Wrobel MJ, Lerner J, Brunet JP, Subramanian A, Ross KN, Reich M, Hieronymus H, Wei G, Armstrong SA, Haggarty SJ, Clemons PA, Wei R, Carr SA, Lander ES, Golub TR, “The connectivity map: using gene-expression signatures to connect small molecules, genes, and disease”, Science, 2006. Wei G, Twomey D, Lamb J, Schlis K, Agarwal J, Stam RW, Opferman JT, Sallan SE, den Boer ML, Pieters R, Golub TR, Armstrong SA, “Gene expression-based chemical genomics identifies rapamycin as a modulator of MCL1 and glucocorticoid resistance”, Cancer Cell, 2006. Kaifang Pang, Ying-Wooi Wan, William T, “Combinatorial therapy discovery using mixed integer linear programming”, bioinformatics, 2014. Yu-Ching Hsu , Yu-Chiao Chiu, Yidong Chen, Tzu-Hung Hsiao and Eric Y Chuang, “A simple gene set-based method accurately predicts the synergy of drug pairs”, BMC Systems Biology, 2016. Xiao-Dong Zhang, Jiangning Song, Peer Bork and Xing-Ming Zhao, “The exploration of network motifs as potential drug targets from post-translational regulatory networks”, Scientific Reports, 2016. Wernicke S, Rasche F, “FANMOD: a tool for fast network motif detection”, Bioinformatics, 2006. Liu Y, Hu B, Fu C, Chen X, “DCDB: drug combination database”, Bioinformatics, 2010. Seton-Rogers S, “Immunology: A downside of chemotherapy”, Nature Reviews Cancer, 2013. Quentmeier H, Eberth S, Romani J, Zaborski M, Drexler H, “BCR-ABL1-independent PI3Kinase activation causing imatinib-resistance”, Journal of Haematology & Oncology, 2011. Chen Y, Boyartchuk V, Lewis B, “Differential roles of insulin-like growth factor receptor- and insulin receptor-mediated signalling in the phenotypes of hepatocellular carcinoma cells”, Neoplasia, 2009. Breitkreutz D, Hlatky L, Rietman E, Tuszynski JA, “Molecular signalling network complexity is correlated with cancer patient survivability”, Proceedings of the National Academy of Science of the USA, 2012. Wieringen WN, van der Vaart AW, “Statistical analysis of the cancer cell's molecular entropy using highthroughput data”, Bioinformatics. 2011. Zadran S, Remacle F, Levine RD, “miRNA and mRNA cancer signatures determined by analysis of expression levels in large cohorts of patients”, Proceedings of the National Academy of Science of the USA, 2013. Teschendorff AE, Banerji CR, Severini S, Kuehn R, Sollich P, “Increased signalling entropy in cancer requires the scale-free property of protein interaction networks”, Scientific Reports, 2015. Banerji CR, Severini S, Caldas C, Teschendorff AE, “Intra-tumour signalling entropy determines clinical outcome in breast and lung cancer”, PLoS Computational Biology, 2015. Christopher R. S. Banerji, Diego Miranda-Saavedra, Simone Severini, Martin Widschwendter, Tariq Enver, Joseph X Zhou and Andrew E Teschendorff, “Cellular network entropy as the energy potential in Waddington’s differentiation landscape”, Scientific Reports, 2013. Jordi Serra-Musach, Francesca Mateo, Eva Capdevila-Busquets, “Cancer network activity associated with therapeutic response and synergism”, Genome Medicine, 2016. Crofts JJ, Higham DJ, “A weighted communicability measure applied to complex brain networks”, The Royal Society Publishing Interface, 2009. Jaeger S, Igea A, Arroyo R, Alcalde V, Canovas B, Orozco M, Nebreda AR, Aloy P, “Quantification of Pathway Cross-talk Reveals Novel Synergistic Drug Combinations for Breast Cancer”, Cancer Research, 2016. Csermely P, Agoston V, Pongor S, “The efficiency of multi-target drugs: the network approach might help drug design”, Trends in Pharmacological Sciences, 2005. Francesca Vitali , Laurie D Cohen, Andrea Demartini, Angela Amato, Vincenzo Eterno, Alberto Zambelli, Riccardo Bellazzi, “A Network-Based Data Integration Approach To Support Drug Repurposing and Multi Target Therapies in Triple Negative Breast Cancer”, PLoS ONE, 2016. Vitali F, Mulas F, Marini P, Bellazzi R, “Network-based target ranking for polypharmacological therapies”, Journal of Biomedical Informatics, 2013. Paola Vera-Licona, Eric Bonnet, EmmanuelBarillot and Andrei Zinovyev, ” OCSANA: optimal combinations of interventions from network analysis”, Bioinformatics, 2013. Kevin Matlock, Noah Berlow, Charles Keller and Ranadip Pa, “Combination therapy design for maximizing sensitivity and minimizing toxicity”, BMC Bioinformatics, 2017. Berlow N, Davis LE, Cantor EL, Seguin B, Keller C, Pal R, “A new approach for prediction of tumor sensitivity to targeted drugs based on functional data”, BMC Bioinformatics, 2013. Pal R, Berlow N, “A Kinase inhibition map approach for tumor sensitivity prediction and combination therapy design for targeted drugs”, Proceedings of the Pacific Symposium on Biocomputing, Kohala Coast, Hawaii, USA, 2012. PMID: 22174290. Kohala Coast: World Scientific; 2012. 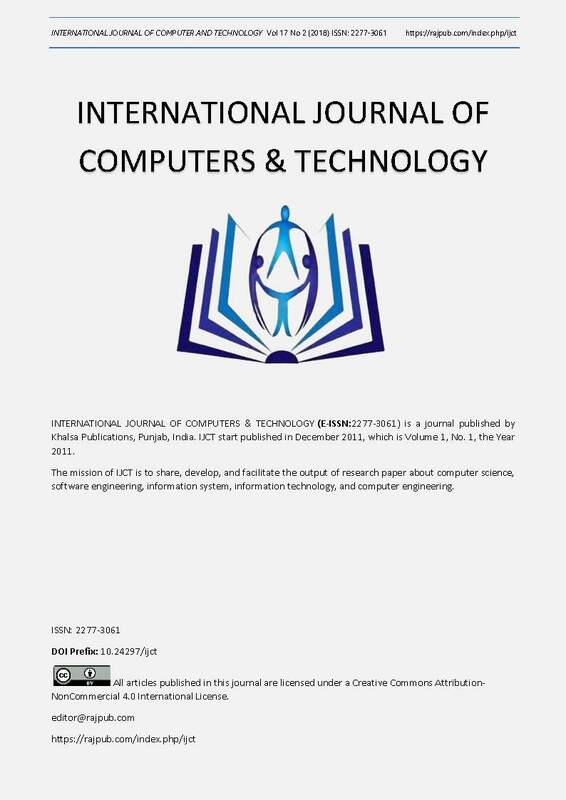 Berlow N, Haider S, Wan Q, Geltzeiler M, Davis LE, Keller C and Pal R, “An integrated approach to anticancer drugs sensitivity prediction”, IEEE/ACM Transactions in Computational Biology and Bioinformatics, 2014. Haider S, Pal R, “Inference of tumor inhibition pathways from drug perturbation data”, IEEE Global Conference on Signal and Image Processing, 2013. Yang Wea, “Genomics of Drug Sensitivity in Cancer (GDSC): a resource for therapeutic biomarker discovery in cancer cells”, Nucleic Acids Research, 2013. Patrycja Nowak-Sliwinska, Andrea Weiss and Xianting Ding, “Optimization of drug combinations using Feedback System Control”, nature protocols, 2016. Xu Q, Xiong Y, Dai H, Kumari KM, Xu Q, Ou HY and Wei DQ, “PDC-SGB: Prediction of effective drug combinations using a stochastic gradient boosting algorithm”, Journal of Theoretical Biology, 2017. 50) Li X, Xu Y, Cui H, Huang T, Wang D, Lian B, Li W, Qin G, Chen L and Xie L, “Prediction of synergistic anticancer drug combinations based on drug target network and drug induced gene expression profiles”, Artificial Intelligence in Medicine, 2017. Gayvert KM, Aly O, Platt J, Bosenberg MW, Stern DF and Elemento O, “A Computational Approach for Identifying Synergistic Drug Combinations”, PLoS Computational Biology, 2017. Held MA, Langdon CG, Platt JT, Graham-Steed T, Liu Z, Chakraborty A, Bacchiocchi A, Koo A, Haskins JW, Bosenberg MW and Stern DF, “Genotype - selective combination therapies for melanoma identified by highthroughput drug screening”, Cancer discovery,2013. Breiman L. Random forests, “Machine Learning”, 2001. Adam A Friedman , Arnaud Amzallag, Iulian Pruteanu-Malinici, Subash Baniya, Zachary A Cooper, Adriano Piris, Leeza Hargreaves, Vivien Igras, Dennie T Frederick, Donald P Lawrence, Daniel A Haber, Keith T laherty, Jennifer A Wargo, Sridhar Ramaswamy, Cyril H Benes , David E Fisher, “Landscape of Targeted Anti-Cancer Drug Synergies in Melanoma Identifies a Novel BRAF-VEGFR/PDGFR Combination Treatment”, PloSone,2015. Pearl J, “The foundations of causal inference”, Sociological Methodology, 2010. Li Y, Zhang P, Sun Z and Hu J, “Data-Driven Prediction of Beneficial Drug Combinations in Spontaneous Reporting Systems”, Center for Computational Health, IBM T.J. Watson Research Center,2017. FDA Adverse Event Reporting System (FAERS). Available: http:// www. fda. gov/ cder/ aers/ default.htm. Yin Liu, Teng Fei, Xiaoqi Zheng, Myles Brown, Peng Zhang, X Shirley Liu and Haiyun Wang, “An Integrative Pharmacogenomic Approach Identifies Two-drug Combination Therapies for Personalized Cancer Medicine”, Scientific Reports, 2016. Hastie T, Tibshirani R, Friedman J, “The Elements of Statistical Learning: Data Mining, Inference, and Prediction”, Springer series in statistics Springer, Berlin, 2013. Jing Tang , Leena Karhinen, Tao Xu, Agnieszka Szwajda, Bhagwan Yadav, Krister Wennerberg and Tero Aittokallio, “Target Inhibition Networks: Predicting Selective Combinations of Druggable Targets to Block Cancer Survival Pathways”, PLoS Computational Biology, 2013. Pudil P, Ferri FJ, Novovicova J and Kittler J, “Floating search methods for feature selection with nonmonotonic criterion functions”, Pattern Recognition, 1994. L He, K Wennerberg, T Aittokallio and J Tang, “TIMMAR: an R package for predicting synergistic multitargeted drug combinations in cancer cell lines or patient-derived samples” Bioinformatics, 2015. D Chen, H Zhang, P Lu, X Liu and H Cao, “Synergy evaluation by a pathway–pathway interaction network: a new way to predict drug combination”, Molecular Bio-Systems, 2016. L Baolin and H Bo, “HPRD: a high performance RDF database”, Network and Parallel Computing: IFIP International Conference, NPC, 2007. Yiyi Liu and Hongyu Zhao, “Predicting synergestic effects between compounds through their structural similarity and effects on transcriptomes”, Bioinformatics, 2016. Sunghwan Kim, Paul A Thiessen, Evan E Bolton, Jie Chen, Gang Fu, Asta Gindulyte, Lianyi Han, Jane He, Siqian He, Benjamin A Shoemaker, Jiyao Wang, Bo Yu, Jian Zhang and Stephen H Bryant, “Pubchem substance and compound databases”, Nucleic Acids Research, 2016. Xueyuan Zhou, Mikhail Belkin and Nathan Srebro, “An iterated graph laplacian approach for ranking on manifolds”, Proceedings of the 17th ACM SIGKDD International Conference on Knowledge Discovery and Data Mining, 2011. X Chen, B Ren and M Chenetal, “NLLSS: predicting synergistic drug combinations based on semisupervised learning”, PLOS Computational Biology, 2016. M Belkin, P Niyogi, and V Sindhwani, “Manifold regularization: a geometric framework for learning from labeled and unlabeled examples, Journal of Machine Learning Research, 2006. Eroglu Z and Ribas A, “Combination therapy with BRAF and MEK inhibitors for melanoma: latest evidence and place in therapy”, Therapeutic Advances in Medical Oncology, 2016. Hassen W, Kassambara A, Reme T, Sahota S, Seckinger A, Vincent L, Cartron G, Moreaux J, Hose D and Klein B, “Drug metabolism and clearance system in tumor cells of patients with multiple myeloma”, Oncotarget, 2015. R. L Juliano and V Ling, “A surface glycoprotein modulating drug permeability in Chinese hamster ovary cell mutants”, Biochimica et Biophysica Acta (BBA) Biomembranes, 1976. P Borst, R Evers, M Kool and J Wijnholds, “A family of drug transporters: the multidrug resistanceassociated proteins”, Journal of the National Cancer Institute, 2000. G Szak acs, J.K Paterson, J.A Ludwig, C Booth-Genthe and M.M Gottesman, “Targeting multidrug resistance in cancer”, Nature Reviews Drug Discovery, 2006. M. A Reis, O. B Ahmed, G Spengler, J Moln´,H Lage and M. U Ferreira, “Jatrophane diterpenes and cancer multidrug resistance—ABCB1 efflux modulation and selective cell death induction”, Phytomedicine, 2016. Weiss A, Berndsen RH, Ding X, Ho CM, Dyson PJ, van den Bergh H, Griffioen AW and Nowak-Sliwinska P, “A Streamlined Search Technology for Identification of Synergistic Drug Combinations”, Scientific Reports, 2015. Hann Wang, Dong-Keun Lee, Kai-Yu Chen, Jing-Yao Chen, Kangyi Zhang, Aleidy Silva, Chih-Ming Ho, and Dean Ho, “Mechanism Independent Optimization of Combinatorial Nano-diamond and Unmodified Drug Delivery Using a Phenotypically Driven Platform Technology”, ACS Nano, 2015. Weiss A, Ding X, van Beijnum JR, Wong I, Wong TJ, Berndsen RH, Dormond O, Dallinga M, Shen L, Schlingemann RO, Pili R, Ho CM, Dyson PJ, van den Bergh H, Griffioen AW and Nowak-Sliwinska P, “Rapid Optimization of Drug Combinations for the Optimal Angiostatic Treatment of Cancer”, Angiogenesis, 2015. “Synergy between Ruthenium(II)-Arene Complex [Ru(?6-p-Cymene)Cl2(pta)] (RAPTA-C) and the Epidermal Growth Factor Receptor Inhibitor Erlotinib Results in Angiostatic and Antitumor Activity”, Scientific Reports, 2016. Iadevaia S, Lu Y, Morales FC, Mills GB and Ram PT, “Identification of Optimal Drug Combinations Targeting Cellular Networks: Integrating Phospho-Proteomics and Computational Network Analysis”, Cancer Research, 2010. Evan J. Molinelli , Anil Korkut , Weiqing Wang , Martin L. Miller, Nicholas P Gauthier, Xiaohong Jing, Poorvi Kaushik, Qin He, Gordon Mills, David B Solit, Christine A Pratilas, Martin Weigt, Alfredo Braunstein, Andrea Pagnani, Riccardo Zecchina and Chris Sander, “Perturbation Biology: Inferring Signaling Networks in Cellular Systems”, PLoS Computational Biology, 2013. Anil Korkut, Weiqing Wang, Emek Demir, Bülent Arman Aksoy Xiaohong Jing, Evan J Molinelli, Özgün Babur, Debra L Bemis, Selcuk Onur Sumer, David B Solit, Christine A Pratilas and Chris Sander, “Perturbation Biology Nominates Upstream-Downstream Drug Combinations in RAF Inhibitor Resistant Melanoma Cells”, eLife, 2015. Montgomery D C, Peck E A and Vining G G, “Introduction to Linear Regression Analysis”, Wiley, 2012. Based Response Surface Model for a Drug Combination Experiment on Lung Cancer”, Statistics in Medicine, 2014. Bree B Aldridge, Julio Saez-Rodriguez, Jeremy L Muhlich, Peter K Sorger and Douglas A Lauffenburger, “Fuzzy Logic Analysis of Kinase Pathway Crosstalk in TNF/EGF/Insulin-Induced Signaling”, PLoS Computational Biology, 2009. Z Wu, Y Wang and L Chen, “Network-based drug repositioning”, Molecular BioSystems, 2013. T. C Chou, “Derivation and properties of Michaelis-Menten type and Hill type equations for reference ligands”, Journal of Theoretical Biology, 1976. S Loewe, “The problem of synergism and antagonism of combined drugs”, Arzneimittel-Forschung, 1953. C.I Bliss, “The toxicity of poisons applied jointly”, Annals of Applied Biology, 1939. Hughes JP, Rees S, Kalindjian SB and Philpott KL, “Principles of early drug discovery”, British Journal of Pharmacology,2011. Demidem A, Lam T, Alas S, Hariharan K, Hanna N and Bonavida B, “Chimeric Anti-CD20 (IDEC-C2B8) monoclonal antibody sensitizes a B Cell Lymphoma cell line to cell killing by Cytotoxic Drugs”, Cancer Biotherapy and Radiopharmaceuticals, 1997. Trialtrove Pharma Intelligence, New York, 2016. https://citeline.com/products/trialtrove/. Tirosh I, Izar B, Prakadan SM, Wadsworth MH, Treacy D, Trombetta JJ et al, “Dissecting the multicellular ecosystem of metastatic melanoma by single-cell RNA-seq”, Science, 2016. Zhao B, Pritchard JR, Lauffenburger DA, Hemann MT, “Addressing genetic tumor heterogeneity through computationally predictive combination therapy”, Cancer Discovery, 2014. Topalian SL, Taube JM, Anders RA, Pardoll DM, “Mechanism-driven biomarkers to guide immune checkpoint blockade in cancer therapy”, Nature Reviews Cancer, 2016. Bulusu KC, Guha R, Mason DJ, Lewis RP, Muratov E, Kalantar Motamedi Y, Cokol M and Bender A, “Modelling of compound combination effects and applications to efficacy and toxicity: state-of-the-art, challenges and perspectives”. Drug Discovery Today, 2016. Lopez JS and Banerji U, “Combine and conquer: challenges for targeted therapy combinations in early phase trials”, Nature Review Clinical Oncology, 2016. Seyed Ali Madani Tonekaboni, Laleh Soltan Ghoraie, Venkata Satya Kumar Manem and Benjamin HaibeKains, “Predictive approaches for drug combination discovery in cancer”, Briefings in Bioinformatics, 2016. Takebe N, Miele L, Harris PJ, Jeong W, Bando H, Kahn M, Yang SX and Ivy SP, “Targeting Notch, Hedgehog, and Wnt pathways in cancer stem cells: clinical update”, Nature Reviews Clininical Oncology, 2015. AACR Releases AACR Cancer Progress Report 2015, American Association for Cancer Research; 2015. David A Freedman, “Statistical Models: Theory and Practice”, Cambridge University Press, 2009. Eileen Magnello, Borin Van Loon, “Statistics: a graphic guide”, Icon Books LTD, 2009. Pivetta T, Isaia F, Trudu F, Pani A, Manca M, Perra D, Amato F and Havel J, “Development and Validation of a General Approach to Predict and Quantify the Synergism of Anti-Cancer Drugs Using Experimental Design and Artificial Neural Networks”, Talanta, 2013. Shaoyang Ning, Hongquan Xu, Ibrahim Al?Shyoukh, Jiaying Feng and Ren Sun ,“An Application of a HillBased Response Surface Model for a Drug Combination Experiment on Lung Cancer”, Statistics in Medicine, 2014. Mijung Park, Marcel Nassar, Brian L Evans, Haris Vikalo, “Adaptive Experimental Design for Drug Combinations”, IEEE Statistical Signal Processing Workshop, 2012. Diego Calzolari, Stefania Bruschi, Laurence Coquin, Jennifer Schofield, Jacob D Feala, John C Reed, Andrew D McCulloch, and Giovanni Paternostro, “Search Algorithms as a Framework for the Optimization of Drug Combinations”, PLoS Computational Biology, 2008. Sui-Man Tse , Yong Liang , Kwong-Sak Leung , Kin-Hong Lee and Tony Shu-Kam Mok, “A Memetic Algorithm for Multiple-Drug Cancer Chemotherapy Schedule Optimization”, IEEE Transactions on Systems, Man, and Cybernetics , Part B (Cybernetics), 2007. Minji Jeon, Sunkyu Kim, Sungjoon Park, Heewon Lee and jaewoo Kang , “In silico drug combination discovery for personalized cancer therapy”, BMC Systems Biology, 2018. Berge C, “Hypergraphs Combinatorics of Finite Sets”, North-Holland Mathematical Library, 1989. Faratian D, Goltsov A, Lebedeva G, Sorokin A, Moodie S, Mullen P, Kay C, Um IH, Langdon S, Goryanin and Harrison DJ, “Systems biology reveals new strategies for personalizing cancer medicine and confirms the role of PTEN in resistance to trastuzumab”, Cancer Research, 2009. Ingo Schupp, Claudine Chaouiya, Denis Thieffry, Annemarie Poustka, Stefan Wiemann, Tim Beissbarthand Dorit Arlt, “Modeling ERBB receptor-regulated G1/S transition to find novel targets for de novo trastuzumab resistance”, BMC Systems Biology, 2009. Ranran Zhang, Mithun Vinod Shah, Jun Yang, Susan B. Nyland, Xin Liu, Jong K. Yun, Réka Albert, and Thomas P. Loughran, “Network model of survival signalling in large granular lymphocyte leukemia”, PNAS, 2008. Aldridge BB, Saez-Rodriguez J, Muhlich JL, Sorger PK, Lauffenburger DA, “Fuzzy logic analysis of kinase pathway crosstalk in TNF/EGF/insulin-induced Signaling”, PLoS Computational Biology, 2009. Papin JA, Palsson BO, “Topological analysis of mass-balanced signalling networks: a framework to obtain network properties including crosstalk”, Journal of Theoretical Biology, 2004. Kraeutler MJ, Soltis AR, Saucerman JJ, “Modeling cardiac beta-adrenergic signalling with normalized-Hill differential equations: comparison with a biochemical model”, BMC Systems Biology, 2010.